Taking the first step towards counseling can be intimidating so I’d like to thank you for viewing my profile to consider if we would be a good fit for each other. I am a Licensed Clinical Professional Counselor, Certified Drug and Alcohol Counselor, Certified Clinical Hypnotherapist, and Board Certified TeleMental Health Provider in the state of Illinois. I have been practicing for about eight years specializing in relationship issues, anger management, mandated counseling/probation/parole, infertility/pregnancy loss, mood disorders, chronic illness, care-giver support, and infidelity issues. I work from an eclectic style that draws from several different styles of counseling including cognitive behavioral therapy, strengths-based counseling, dialectical behavioral therapy, and motivational interviewing. 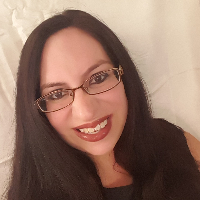 Would you like to write a review for Lisa Cuevas ? We'd appreciate if you can spend a couple of minutes to write a short review for Lisa Cuevas (LCPC, CADC). This review would be shared with Lisa Cuevas . It may also be posted in our website or in Lisa Cuevas 's profile but it would be anonymous and your identity would be kept completely confidential.